Acrophobia refers to the fear of heights. This common fear is able to significantly impact a sufferer’s quality of life, due to the limits it puts on them. This anxiety disorder is psychological and is not easy to work through or move past without professional treatment and understanding from others. About 10% of the U.S. population and 14% of the U.K. population suffers from Acrophobia. While this is a natural fear to a certain extent, in some cases it becomes extreme. The body has a natural defense against danger, such as jumping off a cliff or driving over a narrow and high bridge. This turns into a problem when the natural and healthy fear instinct turns into a sense of paranoia or a morbid fear. This irrational fear is typically both overwhelming and debilitating. It will often cause the sufferer to stop in their tracks and panic or experience extreme anxiety. Many people suffer from acrophobia, including celebrities such as Woody Allen, Whoopi Goldberg, and John Madden. Acrophobia is known to derive from the body’s natural fear of danger. This includes falling, causing injury or death. As with other anxieties, phobias, and fears, our minds are responsible for creating acrophobia as a natural way to protect ourselves. Sufferers link heights to emotional trauma through experiencing an unfortunate event in the past. The mind is then able to create a severe defense mechanism, rather than a coping strategy, in order to protect the body from repeating this trauma again in the future. This generates a severe fear of the current situation involving heights that the sufferer does not know how to properly handle. Acrophobia can greatly affect one’s life by creating an intense fear of going up a step-ladder or a flight of stairs, or even just standing on a chair, or some kind of raised surface. This phobia can present itself in various ways, depending on the situation and the person. While some people who suffer from Acrophobia experience a constant stream of extreme anxiety, others only experience it in response to a direct situation. Every sufferer has a different way of feeling afraid and anxious. Many psychologists believe this phobia begins at a young age, whether you experience something yourself consciously, unconsciously, or even witness a tragedy due to heights. While a patient may not even remember the real-life scare, the fear still manifests inside the brain. The most common symptoms of acrophobia are the onset of vertigo and panic attacks. Vertigo is the medical term for extreme dizziness and is a side effect of several disorders. Panic attacks often make one feel as if they have lost control. 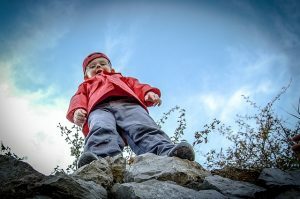 Because Acrophobia is not something that one is born with, but a learned response that stems from a traumatic situation, it is often accepted that there are effective methods of treatment, because it is not something that is embedded at birth in the brain. While Acrophobia is usually very powerful, embarrassing, uncomfortable, inconvenient, and can even be debilitating, it also has several coping methods available to lessen the reaction to heights. Because this is a learned response, sufferers need to “unlearn” this way of thinking. Behavioral therapists and psychologists are able to help people who suffer from acrophobia to develop coping skills that will help them to desensitize their minds and manage their fear of heights and the intense anxiety that comes along with it. This process involves the understanding and subsequent adjustment of thoughts and feelings to nurture the anxiety. It also involves learning and practicing particular behavioral social skills in a safe office setting that let the sufferer increase their confidence. Gradually, patients are urged to practice these learned skills outside of their comfort zone and in real life situations. Cognitive behavior therapy (CBT)is a psychological approach where a patient is urged to face their fears and then confront and change the thoughts and feelings that materialize when this obstacle is present. Systematic desensitization (or graduated exposure therapy) is the most preferred technique to treat acrophobia, as well as other phobias. Cognitive behavior therapy is based on having the patient relax before imagining confronting their phobia. This is done by working in increasing increments, from the least fearful up to the most. In addition to other therapies, relaxation and tension relief techniques are important for a patient with a phobia to learn. 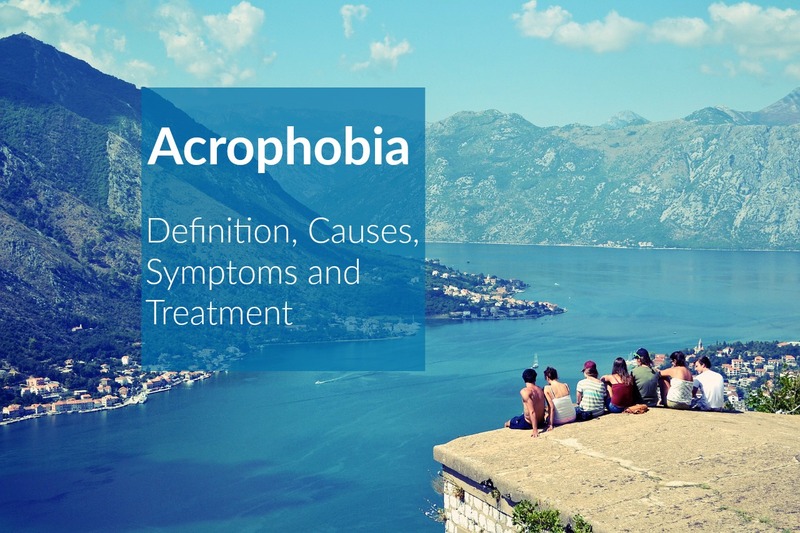 While medicine alone cannot cure Acrophobia along, anti-anxiety and anti-depressive prescriptions can be used to help alleviate the symptoms that are associated with this phobia. Medication can take the edge off by reducing anxiety so the patient is able to deal with their fears more easily. Hypnotherapy is another option for people who have phobias. 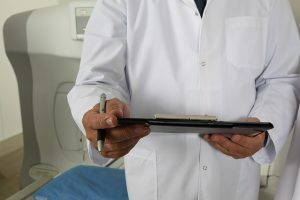 Hypnotherapy typically consists of a process of systematic desensitization as well as other therapeutic techniques that are conducted while a patient is under hypnosis by a licensed, clinical hypnotherapist. It is most important to desensitize a patient to their phobia. While this can be done in many ways and for many different phobias, there are certain ways to desensitize a person to heights. For example, go to an area where the patient knows that they will experience their fear of heights and the accompanying anxiety. This could be anything from the top of a building or only on a diving board (choose safe place!). Begin far back from the surface’s edge where the fear does not exist and slowly move towards the edge. As soon as fear sets in, stop walking. Pay close attention to your feelings and do an inventory of your symptoms by going through your body, head to toe, concentrating on how each part of your body feels. Make yourself aware and take special note of these feelings. It is important to not immediately turn around when anxieties begin to rise, as it is also important to not deny how your body really feels. Continue with your desire to overcome your phobia of heights. Do not pressure yourself to go further at first, know that you are in control of the situation and can step back when needed. Continuing on with this process, begin at your original starting point and again, stop walking when anxiety sets in. Pay close attention again to your feelings and take close note of those feelings. Do not run away from or deny what you are feeling. It is important to know your feelings before making the conscious choice to either continue forward or to step back. Because you are in control, you are able to choose to continue moving closer toward the edge, leave the situation entirely, or remain in place. The third time, begin this process once again from your chosen safe location. Hopefully, by this point, you are able to accept your feelings of anxiety that are likely to come when you hit your point, even if you still do not want to continue walking further. Once you accept your feelings and your specific location, you will be able to see that the intense anxiety and fear fades. Every time this process is repeated, stop in your tracks when you begin to feel symptoms or anxiety. Then, identify these feelings, note your location, and let your body feel however it wants to feel. It is important to never lose your will to continue getting closer to the edge. Gradually, with this process, you will be able to approach the edge without being overwhelmed by fear and anxiety. If your extreme fear of heights affects your daily chores and keeps you from going anywhere that is at a great height, starting with the treatment process can be very beneficial. While the fear of heights is common and often debilitating, there are ways to treat the phobia and lessen the anxiety that accompanies it. It is important to face your fears if you have the desire to overcome the phobia of heights and take your time when going through the process. The progress is often gradual but reaps great benefits in the long run. You can start by seeing your primary care doctor.